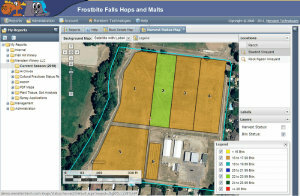 MoosePoint Technology and our partners have used TerraWeave GeoSmart.net to develop many innovative Geospatial solutions. Leveraging the same code-base as our products, these solutions can be implemented using our Standard Edition run-time environment or combined with GeoSmart.net Enterprise Edition providing you complete administrative capabilities. 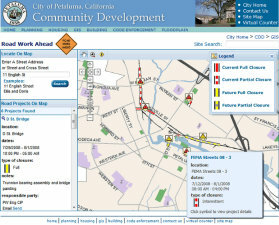 Road Work Ahead is a set of applications that are used together to view, create & modify information about planned projects that affect road conditions made available on a real-time basis to the public over the internet. The end result is that related projects are more easily managed, hazardous conditions more easily tracked, and this information is easily relayed to the public in a form that is clear, readily-accessible and relevant to their geographic location. 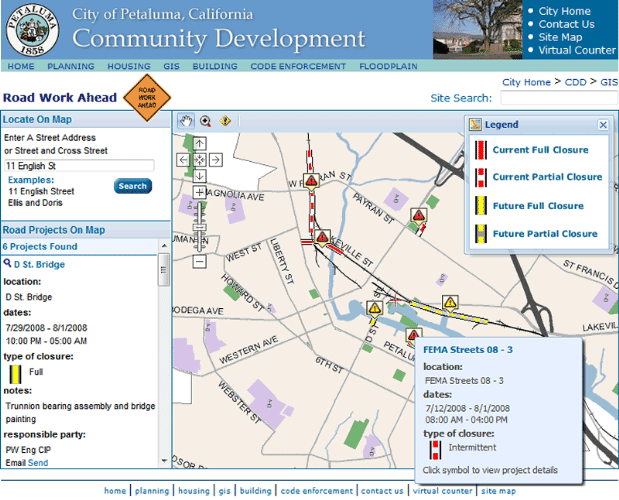 To learn more, visit the Road Work Ahead page. 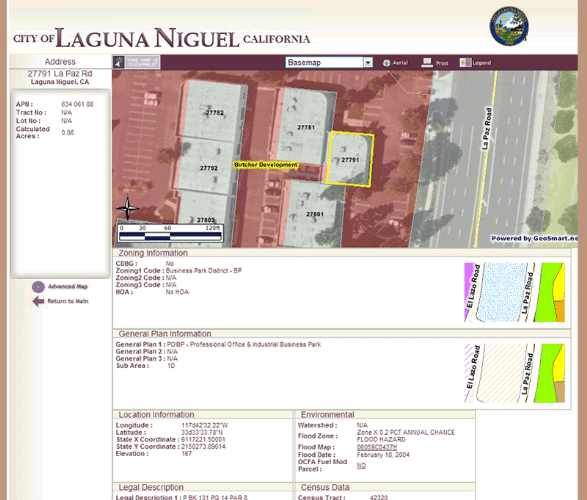 "Is my property zoned for business?" "What school would my kids go to?" "How do I get to City Hall?" "What day of the week do they pickup my trash?" To learn more, visit the My Neighborhood page. Enabling vineyard and winery organizations to increase the value of their business information, Meristem Technologies makes the right information information quickly and easily available to more people. This is acheived through design, development and implementation of vineyard information systems utilzing the latest mobile, web and geospatial technologies. MoosePoint Technology was the technology provider for Meristem Technologies from Meristem's inception in 2008 until 2013 when the business was acquired by a competitor.